That is not universally true. For most divorcing couples, there is little at stake because they don’t own much. Any competent lawyer can draft the proper papers and many of the factors suggested in the article (e.g., likability) aren’t really that important. On the other hand, I am amazed at how infrequently potential clients who do need the right lawyer do not ask the right questions. The most common question which I get asked is “What is your retainer?” Is there a more irrelevant question? The retainer is merely a downpayment – the lower the retainer, the more that is owed later. Is that your only area of practice? Have you ever handled a case with the issues presented in my case? If so, how many times and with what degree of success? [If there is a known lawyer on the other side] Have you ever practiced against this lawyer? What is your settlement rate with him or her? How much of your practice is in the county my case is in? Do you belong to the local bar association? 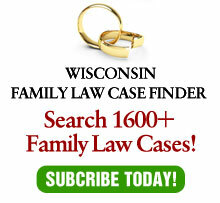 Do you know the family court judges in that county? What do you view as your strengths and your weaknesses?